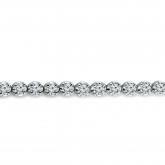 This 1 carat tw Diamond Adjustable Bracelet comes with 30 brilliant round-cut diamonds each hand-matched for brilliance and fire. 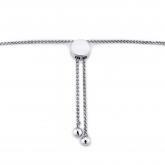 The chain slides through the sleek round disc sliding mechanism that adjusts to fit most wrists to wear with ease.The bracelet is adjustable in 6 inch, 7 inch, 7.5 inch and 8 inch. 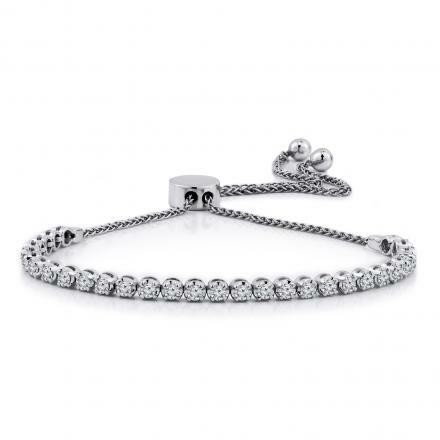 Avaible in your choice of 14k White, Yellow, or Rose Gold.